How do we invite and apprentice students into the multiple literacy demands of the 21st century? How ought we to teach reading and writing in first-year composition classes? 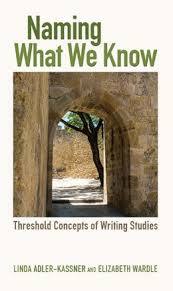 Is writing a subject of study, a practice, or both? How do we prepare students for the reading and writing demands they’ll experience across disciplines? How do we engage faculty in on-going, collaborative inquiry to build our capacity to teach reading and writing? To address these questions and more, we launched the Integrated Reading and Writing (IRW) learning community in summer 2018. This learning community invites faculty to learn theories and practices in the teaching of reading and writing, and it creates much-needed space for collaboration and dialogue. This spring, we will launch IRW Zoom dialogues, IRW Sharing Sessions and more scholarships to participate in Reading Apprenticeship professional learning (online and face-to-face). Participants who have already completed Reading Apprenticeship 101 or an equivalent can sign up for the Reading Apprenticeship in College Writing course, March 11-May 5 or June 10-August 4. BSILI (3CSN’s leadership Institute) June 2-7 in Lake Arrowhead, and 3CSN’s Facilitator Learning Community (FLC) in 2019-2020 as part of a team working to create IRW professional learning communities across the state.